This is a beautiful non-dug pre Civil War coat size New York state seal uniform button. This is the pattern that has the flat front with the famous New York eagle state seal on the face. It has the "EXCELSIOR” wording on the bottom edge. On the back it has the clear desirable pre-Civil War era backmark of "T.I. MOORE / EXTRA RICH” in a raised Mark in the depressed channel. 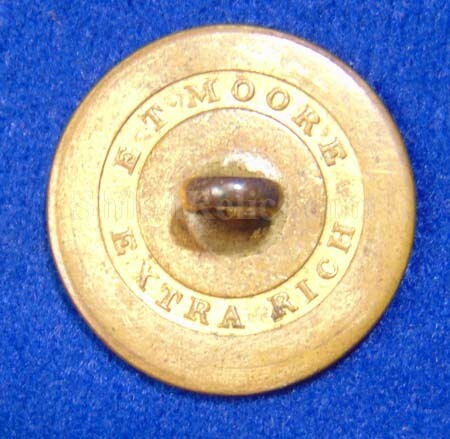 The original shank is present and accounted for on the reverse of the button. This style is listed as figure NY10 in Albert’s button book and NY100a11 in Tice’s button book. 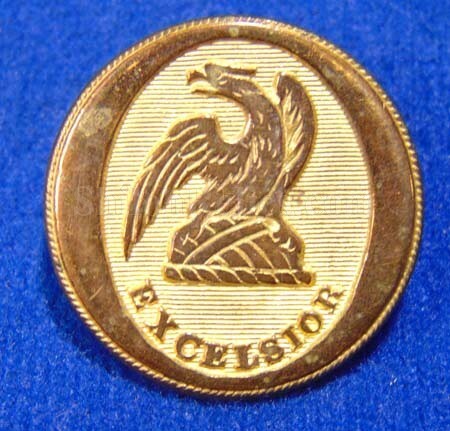 This is a fine displaying 1-piece New York state seal button with a tougher to find backmark.